As a little welcome back to the world of blogging I thought I'd start up a new blog series. You all know I'm all about eye makeup so I can't think of a better series than something that focus's on everything eye makeup related! 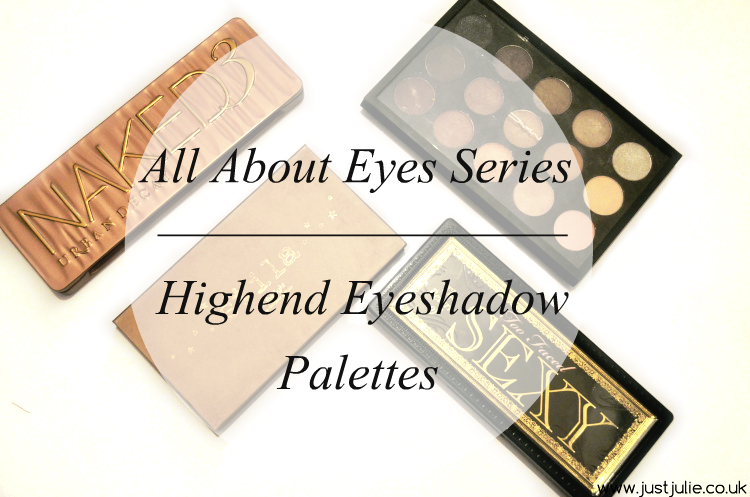 So to kick start things let's talk highend eyeshadow palettes! All because something comes with a high price tag, it doesn't actually mean that the product inside is going to be any good, this is a lesson I've learnt over the years, and I'll share a few of the ones that aren't worth the money another time, as today I want to talk about those that are worth every single penny and then some! 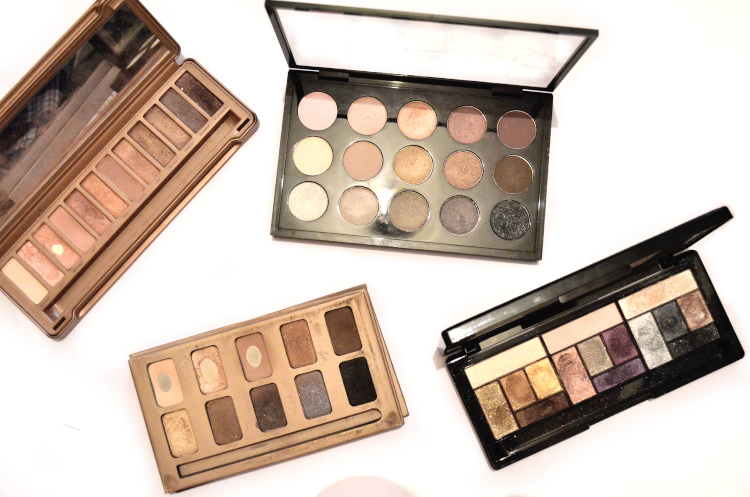 I can't write about eyeshadows and not mention MAC right? When MAC launched their two pre-made 15 colour palettes everyone kind of went a little mental. I mean to purchase 15 eyeshadows and the palette singular it would set you back a whopping £166.50, so believe me I was snapping up this palette because in my head I was saving over £100... yes I get I wouldn't have purchased all of the colours, but still the logic is there, well for me anyway! Obviously with the pre-made palettes you can't re-fill them, but most palettes you can't unless they are build your own, so it's no issue to me. I bought the cool neutral because the shades suited me the most. Unlike some of MACS palettes, this one doesn't scrimp on quality. The eyeshadows to me are the same quality as the singles that I own. The palette contains a good mix of textures, five mattes, 9 shimmers and one glitter shade, they're also a good mix of colours too, plenty of neutrals to wear during the day but you can smoke the look out to create something more dramatic. If you love MAC but can't quite stretch to the usual price or are impatient and want a full palette straight away then I really do recommend picking this up. 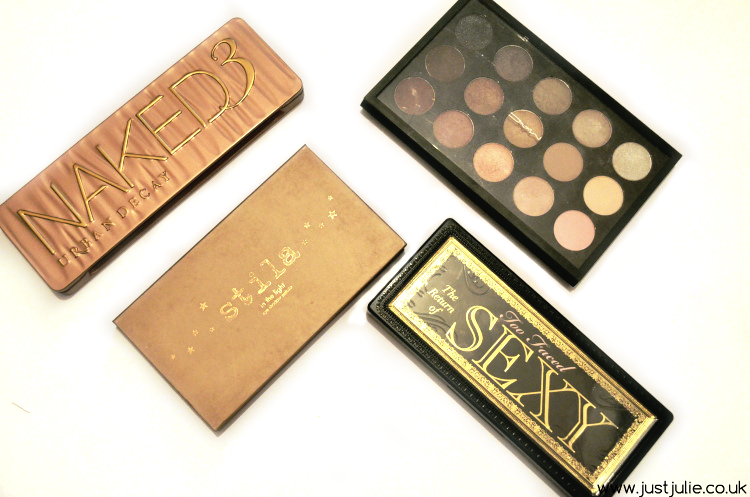 So those are my favourite highend palettes. I have more, but these tend to be the ones I reach for on a daily basis, I kind of flit between them or mix and match! I mean when you own so many eyeshadows why not grab four palettes at a time to create a totally different look?! If there is anything you'd like me to feature within this all about eyes series then do let me know and I'll try hardest to.